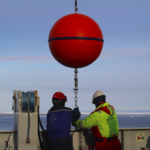 Are you exited about our experiments at the Coriolis platform? We can’t await to finally getting started with the experiments! To shorten the waiting time, we would like to introduce you into the topic of our research throughout the next three days, so that it will be easier for your to follow up on the happening in Grenoble. The Antarctic Ice Sheet contains 26.5 Mio km³ of ice. Such a big number is difficult to grasp, but it is 70% of the Earth’s freshwater and equals—if the ice is completely melted—a sea level rise by 58 m. Luckily melting of an ice sheet is a slow process which is compensated by the accumulation of snow as shown in the sketch below. However, this compensation got out of balance during the last two decades and we know from satellite observations that the Antarctic Ice Sheet is losing more mass to the ocean than it gains by snow fall. In average, it lost about 310 +- 74 km³ (or 0,78 mm of sea level rise) per year during 2003-2012; especially in West Antarctic this mass loss has accelerated so that the area has already lost 70 % more ice compared to a decade ago (Paolo 2015). Figure 1. 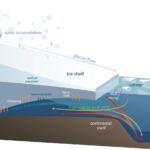 Here is a sketch of the Antarctic Ice Sheet and its interaction with the atmosphere and the ocean. Ice forms through the accumulation of snow and slowly flows to the sides due to its own weight. 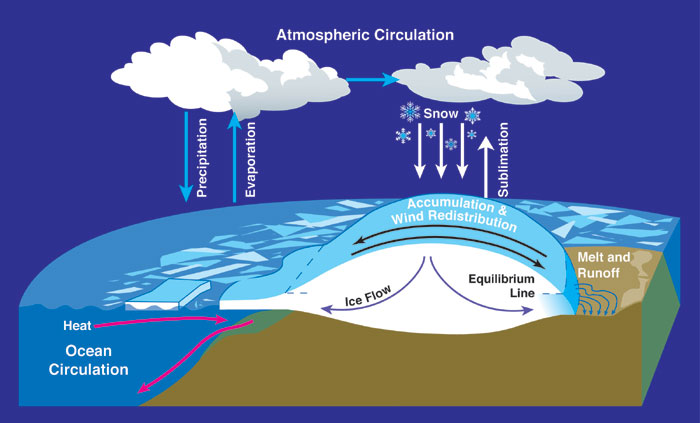 When it reaches lower elevations, it melts by warm air temperatures or by the ocean where it ends in ice shelves—the floating extension of an ice sheet—as seen on the left side of the figure. Source: NASA. From Wikipedia Commons. Most of Antarctica’s periphery (75%) is buttressed by ice shelves—the floating extension of an ice sheet. Ice shelves occur, where the ice is thin and the bed rock far enough below sea level that the ice gets lifted off the underlying bedrock. As soon as the ice is detached from the bed, ocean water can penetrate beneath it and start melting as shown in the sketch below. Figure 2. This sketch shows a typical Antarctic ice shelf that starts floating from the grounding line and enables the flow of warm circumpolar deep water (CDW) underneath the ice shelf. The ice therefore melts from below (basal melt) and this melt water rises as a buoyant melt plume. Image credit: Helen Amanda Fricker, Professor, Scripps Institution of Oceanography, UC San Diego. The total area of all Antarctica’s ice shelves is almost as large as the whole Greenland Ice Sheet and cover about 11% of Antarctica’s area. In other words, 11 % of the Antarctic Ice Sheet is floating! Figure 3 shows the Antarctic Ice Sheet where all ice shelves are shown in color. The colors correspond to their thickness change: red indicates strong thinning, blue indicates slight thickening. 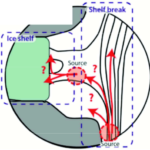 The circles associated with the different ice shelves show the percentage of thickness change. Figure 3. 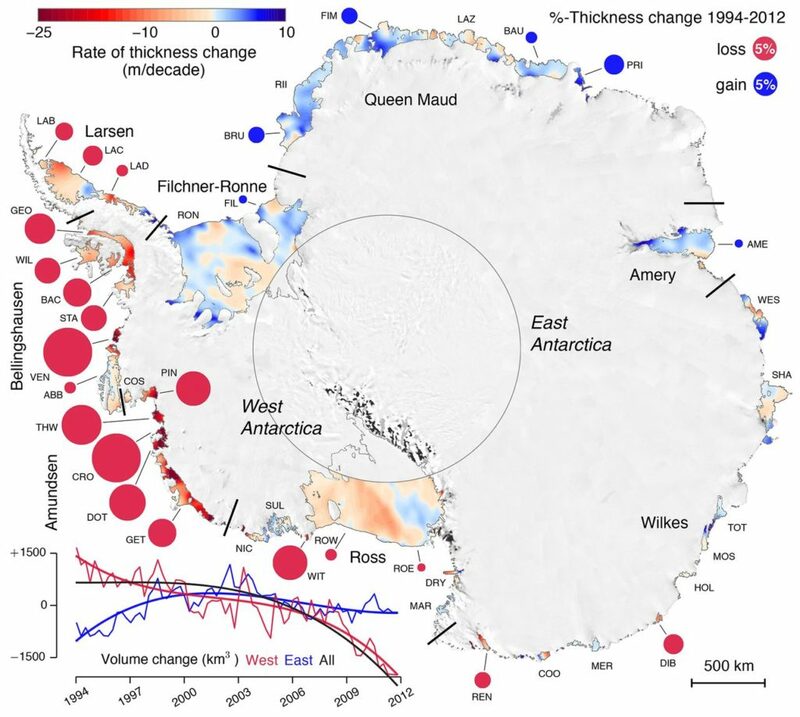 Observed thickness changes of all ice sheets around the Antarctic Ice Sheet with colors showing the absolute change per decade and circles showing the relative change between 1994 and 2012. The total volume change of the Antarctic Ice Sheet, West Antarctic and East Antarctic are shown in the lower left corner. Source: Paolo et al., 2015. Now you may think that there is a lot of blue color, so thickening of the ice shelves. It’s not so bad after all?! Only looking at the eastern part you are totally right! Many ice shelves have actually been thickening since 1994, which means they were growing! However, the largest mass change is happening in West Antarctic, where the colors are reddest and the circles largest. 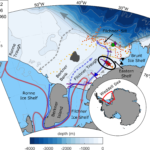 The small time line in the lower left corner compares the volume change of East Antarctica (blue) with West Antarctica (red). The western part has been losing mass since 1994, whereas the eastern part actually gained mass in the beginning until also the eastern part started losing mass in 2003. The black line is the total mass loss and you see that the volume went down continuously since 2003—so, West Antarctica wins in the end! 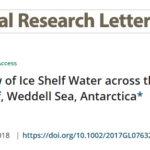 When talking about thinning of ice shelves, we always have to keep in mind that ice is almost as heavy as water; 9/10th of an ice shelf is therefore floating below the sea surface. This means that they are already part of the ocean and do not contribute much to sea level rise when they melt. But still, their role is to buttress the ice that is drained through ice streams—slow rivers of ice—from the interior towards the ocean. 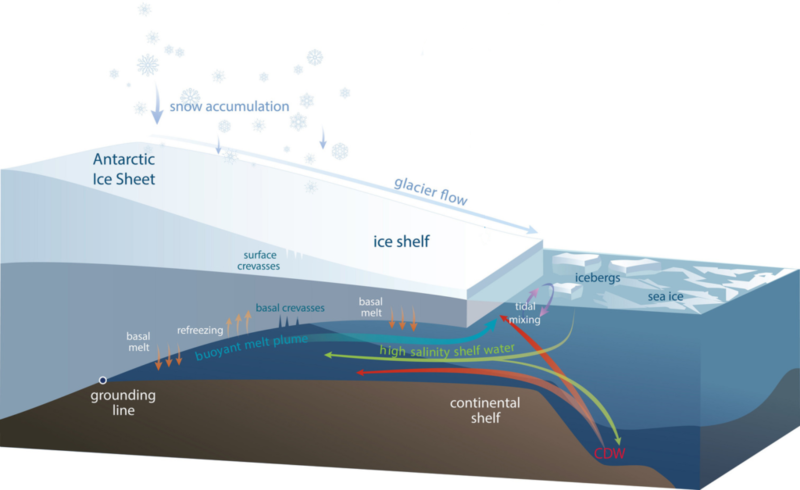 Thinning will therefore accelerate the ice flow further upstream in the grounded part and increase the ice sheet’s contribution to sea-level rise by acceleration and increased mass loss. 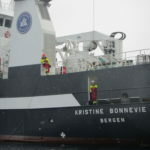 ← Constructing a Continental Shelf!